The Ford Figo that is manufactured at the company's Sanand plant in Gujarat, India, is exported to the European market as the Ka+. Due to poor sales and lack of demand, Ford will be discontinuing the sales of Ka+ in Europe by September this year, reports Carscoops. While the production will stop, dealers in Europe will continue to sell the hatchback as long as stocks exist. 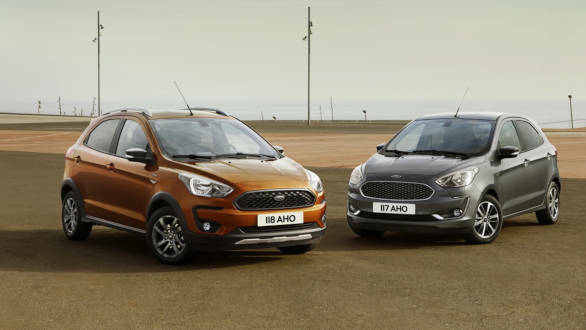 The Ford Ka+ has been facing stiff competition from the likes of the Renault Twingo along with the Dacia Sander which is larger in size and also cheaper. In addition to poor sales, the decision of discontinuing the Ka+ will also help the American car manufacturer better its overall ranking of CO2 emissions. Next year, the hatchback would be subjected to penalties which will further increase its prices in the competitive European market. A Ford representative also confirmed, "The decision is also in line with our strategy aimed at strengthening the Ford brand and creating a sustainably profitable business in Europe, including taking action to improve or exit less profitable vehicle lines." With the exit of the Ka+, the Ford Fiesta will be the new entry-level offering in Europe. Last month, Ford launched the facelift version of the Figo hatchback in India at a starting price of Rs 5.15 lakh. 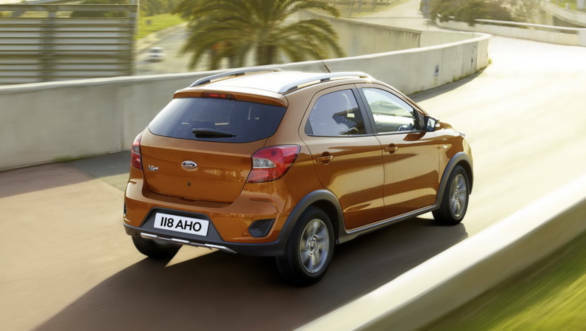 The hatchback gets all the styling and mechanical upgrades that Ford has been introducing in its other cars, especially the Freestyle and Aspire. Ford India claims that there are 1,200 new parts. This means the addition of new front and rear bumpers with plastic inserts, a new honeycomb grille, a swept back headlamp and new multi-spoke alloy wheels. 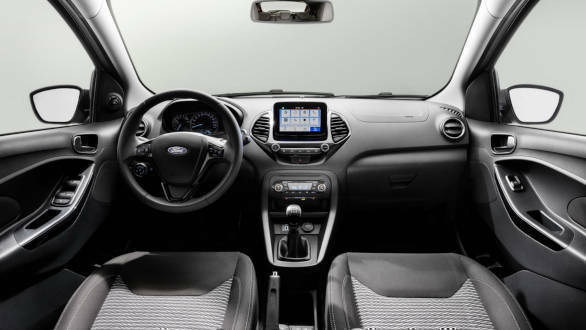 The interiors too mimic the new design with the floating Sync3 infotainment, climate control and other features. Engine options mimic those of the Freestyle. There is the 1.2-litre three-cylinder Dragon petrol which offers 96PS and 120Nm. The diesel unit will remain unchanged at 1.5 litre and will put out 100PS and 215Nm. These will be mated to the new five-speed manual transmission. Earlier this month, it was also reported that Ford India might be on the way to shut its independent operations in the country. Instead, the company will be forming a joint venture with Mahindra and Mahindra, as reported by Reuters. The report further suggests that Mahindra could have a controlling stake of 51 per cent whereas Ford India will have 49 per cent stake in the business.